Could you give me some tips on using water soluable oils? Does this medium work? with the Flemish technique? 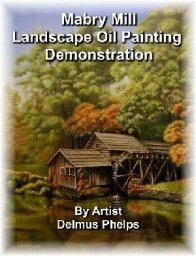 Water soluble oil paints, can these be used in this technique? And, what mediums would you use? Can you still use linseed oil? Hi Jo! a great question! Things to remember about water soluble oils. If you want to retain the ability to wash your oils with water, then you have to stick with mediums that are meant to go with the product. They do make a water soluble medium that is like linseed oil for the water soluble line of paints. They also make drying oils/mediums to help them dry faster (like Liquin but can mix with water) that is compatible with the water soluble oils. Also, you can mix regular linseed oil with the product, but it now becomes the same as regular oils and will require a solvent to cut them or clean them. I've tried them, didn't like the texture, (the paint was a bit gritty for my liking) but they worked fine for me. Then again, I did use regular linseed oil which converted the water soluble part out of the equation. I've had customers tell me they work great in this technique using the water soluble mediums. The larger fine art manufacturers also would want the product to work across most techniques. Check the manufacturers web site for more information on products available for their paint. The technique works well with them. Here's a link to get an idea of what is available through this great vendor. They have linseed oils, dryers, etc. just for this type of paint.